Please pray for me as I have financial problems. I have lots of guilt feelings since I have lots of obligations to pay for. I done lots of wrongdoings in my life. Somewhere inside me I have faith which says God can save me from shame and release me from all bondages. 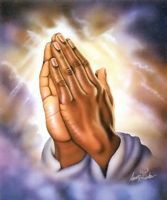 Please also pray that God may provide me a job and make me a new person. Pray for my sons Vernon and Enosh, and my wife Natalina Reshma, and for myself, Julio Fernandes. Also please pray for Desmond Viegas who is applying for a job on Cruiselines. Its easy! All you have to do is go for confession: pack out your cards before God and his priest - by doing so you come clean before God, before man and before yourself. Remember Jesus has said, "Come to me all you who are heavily laden and I will give you rest". Now is the ideal time for confession for is it not Lent? The devil may try to tell you all sorts of things, i.e. that he has bound you but it is not true! Jesus loves you and he has come that we may have life and have it in abundance. Remember Julio, Jesus's love is stronger than the devil. Once you have confessed your sins to God, he WILL forgive you because he has promised it to us and he will never go back on his promises. After confession and having received absolution for your sins, believe that you are in the right standing with God. Jesus also said in Revelation 21:5, "...Behold, I make all things new." He stands ready to make you and your life new. A thing I have learned to do that helps me in my faith walk, is every morning when I wake up, I dedicate the new day to God and re-dedicate myself, my life and all that I am, that I have and that I do, to God. There is a song that we Catholics sing that says it so beautifully, "All that I am, all that I have, all that I do, I offer now to you. Take and sanctify these gifts o Lord for your glory, for your honour and for your service. Knowing that I love and serve you, is enough reward. Julio, let me know how God has changed you and your life. I will of course pray for you.